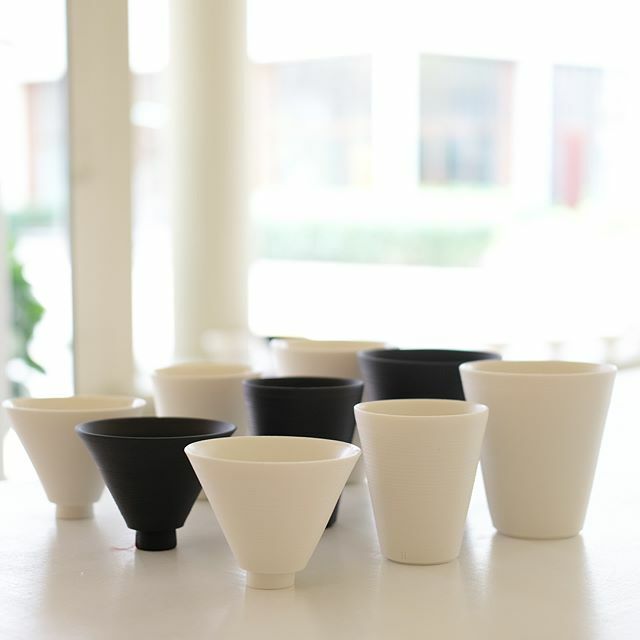 Twelve sets for desserts, coffee or water and tea: Hand thrown in white and black porcelain in three different sizes and three shapes – sophisticated white and black pieces from my collection ‚potter pieces‘. Black beauty. 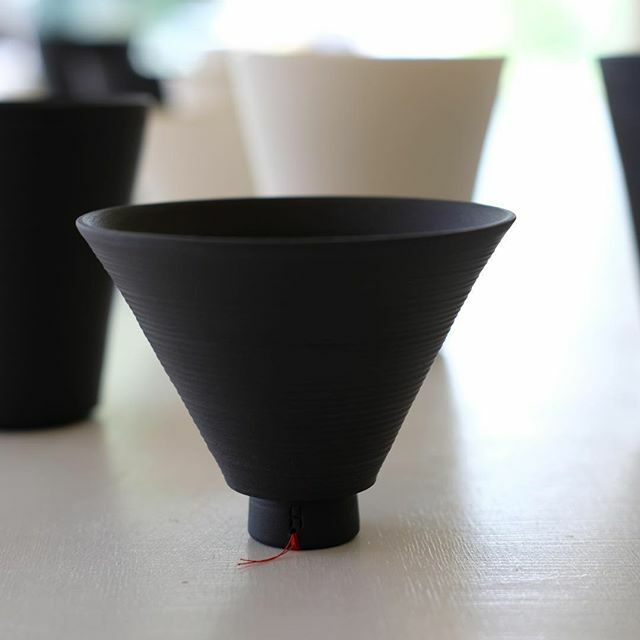 Tea cup, black porcelain hand thrown with the red thread. Without any glaze. Sanded. Collection 2018. Hollywood’s shopping scene may be best known for its Walk of Fame souvenir shops filled with mini Oscar statues and replica California license plates (admit it, you’ve got one), at least until you venture beyond the tourist-happy boulevard. Enter The Give Store, a cool new gift boutique that arrived on Tinseltown’s low-key Sunset Boulevard earlier this spring. Located next door to Pure Barre and a few doors away from Lifehouse Tonics, the shop focuses on independent makers hailing from across the globe. Expect to find home goods, stationery, textiles, decor, art, and jewelry that fit seamlessly with that wabi-sabi aesthetic, including coffee and tea accessories by Kinto, dinnerware from Farmhouse Pottery, totes and pouches by Amsterdam-based artist Annet Weelink, ceramics by Zurich-based talent Helga Ritsch, and much more. Also on shelves are stylish succulent arrangements by store owner and longtime landscape designer Duong Hua, who tells us he previously sold his creations at Melrose Trading Post before setting up his own shop. Plus, the boutique will be hosting a sip and shop event Saturday, June 30 from 1 to 5pm; follow the brand at thegivestore as reveals more details in the coming days. Take a peek inside the inspiring space and scroll through the gallery above, and see below for the hours and address.